Frontiers Music Srl is excited to announce the signing of British hard rockers Stone Broken to the label! 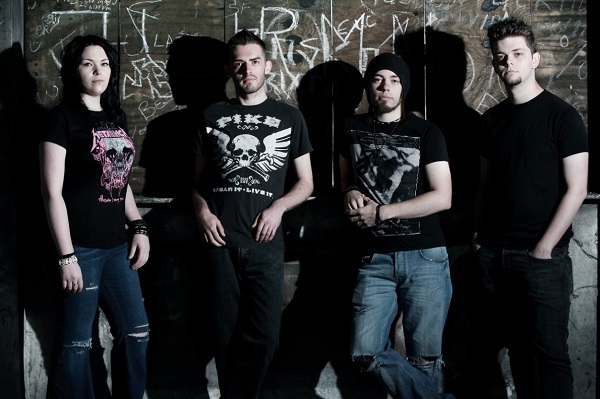 Stone Broken is a four piece band from Walsall, formed in late 2013 from the fragments of two local bands. In just a short time, these guys have gelled into a dynamic outfit that delivers a BIG ,chunky rock sound with huge choruses, as can be heard in their acclaimed, independently released, full length debut album, “All In Time”. The record received glowing reviews on the national press, including a 10/10 in Powerplay Rock and Metal Magazine, 9/10 in Fireworks Magazine and an Album of the Month award in RGG magazine. Stone Broken were also contender for 'Best New Band' at this year's Planet Rock Awards. Vocalist/guitarist, Rich Moss says: "Signing with such a prestigious label as Frontiers Music Srl is a dream come true. It is a validation of all the hard work we have put in and a testimony to our ever increasing and loyal fan-base. We are now writing our second album which will be the first with Frontiers. Once again, we will be recording with award-winning producer, Romesh Dodangoda (Motörhead, Bullet for My Valentine, Funeral for a Friend etc.) and can't wait for you all to hear it. Then we are going to tour, tour, tour and play every goddamn town we can!"